Specialists in All Cricket Shoe Conversions! Click here for prices, quotes and ordering. 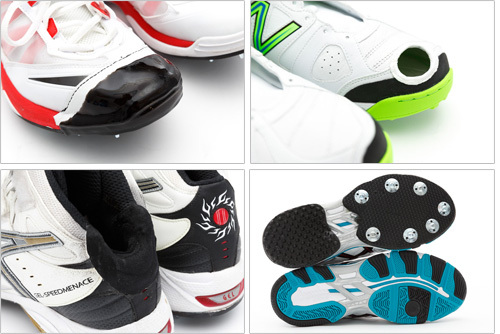 Custom Cricket Shoes is the world's leading cricket shoe spiking, modifications and orthotic provider. It is owned and operated by Greg Dower and Darren Stewart, podiatrists for the Australian Cricket Team and owners of my FootDr™ podiatry centres, naming rights sponsors of the mighty Queensland Bulls. We are proud to serve hundreds of cricket players from all over the world, from grass roots level to international cricket legends such as Ryan Harris, David Warner, Pat Cummins, Steve Smith, Jodie Fields, Trent Boult, Adam Milne, Robin Uthappa, Mohit Sharma, Shikhar Dhawan, Chris "World Boss" Gayle, Darren Sammy, Dwayne Smith, Andre Russell, Denesh Ramdin, Jason Holder, Wahab Riaz, Shoaib Malik, and many, many others. We are based in Brisvegas, Queensland, Australia and are now proudly supported by our good friends Freedom2Play in New Zealand. Over the next 12 months, we aim to expand internationally into every cricket playing nation on the globe. Keep any eye out for your local CCS Franchise. From any variety of spiking patterns to different soling materials to accessory modifications such as big toe cutouts and toe guards, we'll tailor your shoes precisely to your specifications. 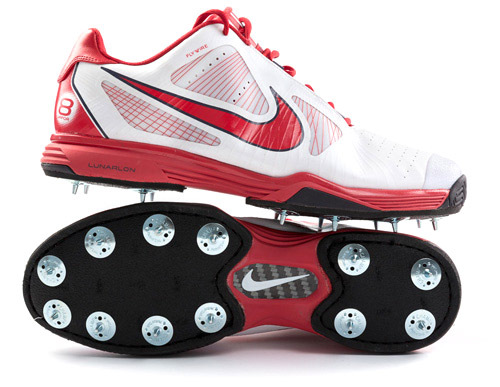 Maximise your performance on the field with a Custom Cricket Shoe conversion. Whether you're a batsman, bowler or keeper, you can customise your spiking pattern to suit your game so you can be at your best when you need it. Choose from standard Champ™ cricket spikes in regular or shorter length for batting, as well as golf spikes. Additionally, you can choose from heavy duty, medium and lightweight soling materials in black and white, and choose from two different types of rubber heel materials for batting and fielding. We also stitch soles for extra durability. 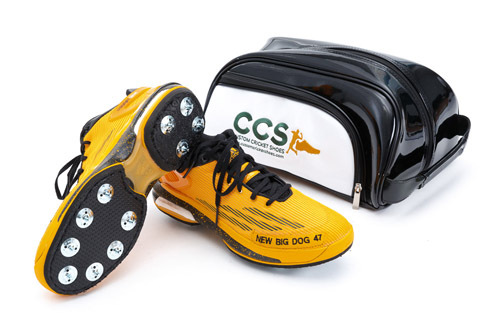 Our custom cricket shoe conversions can be fitted with precision manufactured custom foot orthotics which support your feet in their most optimal functioning position. With the correct support, tired and aching feet will be a thing of the past, allowing you to play longer at your peak performance. Simply visit one of our state of the art podiatry clinics or send us a foam box impression of your feet with your shoes and modification form. Additional modifications such as a big toe cutout, a favourite for fast bowlers, Achilles tendon relief cutout, Tuff Toe™ application with leather reinforcement, dimple heel material for extra cushioning and grip when you're batting at the crease and even "relasting" to widen shoes. 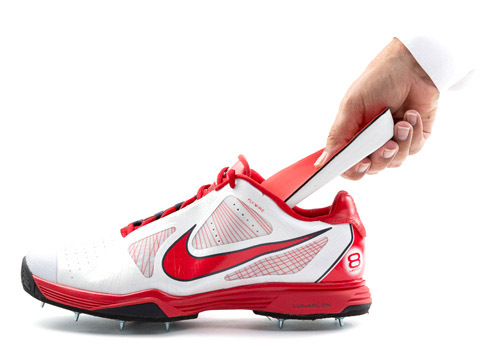 These extra mods can be added to each of your shoe designs in the Cricket Shoe Customiser. We also rebrand shoes to keep the sponsors happy. For that somebody special in your life that has a love for all things cricket, why not treat them to a CCS gift voucher. 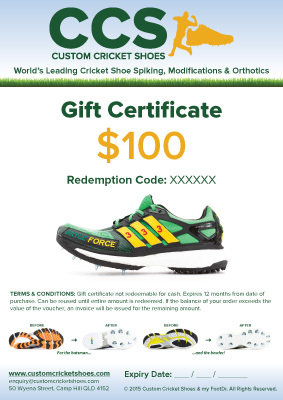 Available in $100, $200 and $300 amounts, these can be used to order their perfect Custom Cricket Shoes. They will love you forever! Purchase these through our my FootDr online store.